The event was used to launch the Water Efficiency guide. The guide looks at efficient water use in a healthcare setting, and includes benchmarking of Irish healthcare facilities in terms of water use. 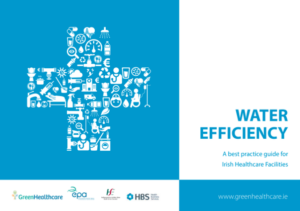 Green Healthcare has also documented a series of case studies related to water efficiency in Irish healthcare facilities, along with water-related factsheets and a ‘How to’ guide, which can be viewed here. The Green Healthcare programme is co-funded by the National Health Sustainability Office of the HSE and the Environmental Protection Agency.